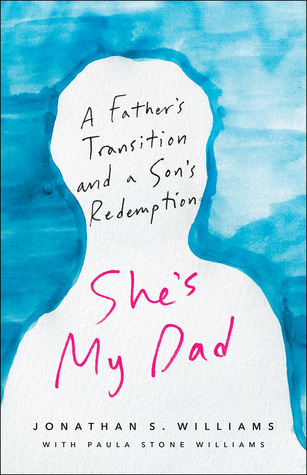 Because it’s a memoir, I feel bad that I didn’t really enjoy She’s My Dad. I’m just not sure who this is book for? Jonathan’s reaction is so deeply entrenched in evangelical Christianity, I wonder how many readers (whether cis or trans) outside of that world would find this helpful. I struggled with how outdated the terminology and attitudes seemed. I wouldn’t want to read this as a trans person, and certainly not as a nonbinary person (the narrative was very hung up on the gender binary). And I can’t imagine giving it to a cis person trying to understand how a trans loved one feels, because again, it felt outdated, and it wasn’t cohesive or far-reaching enough. There was constant misgendering in the first half of the book. Maybe Paula was okay with the use of old pronouns/name for historical purposes, but it was tough to read. Did they think it made things clearer? It just felt bad. And while Jonathan is good about pointing out where he was being selfish, self-righteous, or just plain mean, I couldn’t help but wonder: Are there times when cis people should keep some of their thoughts to themselves? Is there such thing as too “raw and honest”?